AC-4050 The Ernie Ball Polypro strap is ideal for all guitarists and guitar types. Length adjusts from 38" to 68". AC-4049 The Ernie Ball Polypro strap is ideal for all guitarists and guitar types. Length adjusts from 38" to 68". AC-4036 The Ernie Ball Polypro strap is ideal for all guitarists and guitar types. Length adjusts from 38\" to 68\". AC-4048 The Ernie Ball Polypro strap is ideal for all guitarists and guitar types. Length adjusts from 38" to 68". AC-4046 The Ernie Ball Polypro strap is ideal for all guitarists and guitar types. Length adjusts from 38" to 68". AC-4040 The Ernie Ball Polypro strap is ideal for all guitarists and guitar types. Length adjusts from 38" to 68". 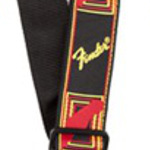 AC-4044 The Ernie Ball Polypro strap is ideal for all guitarists and guitar types. Length adjusts from 38" to 68". AC-4045 The Ernie Ball Polypro strap is ideal for all guitarists and guitar types. Length adjusts from 38" to 68". 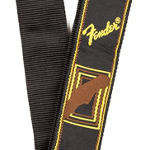 AC-0990681000 The classic looking, highly desirable 2 Inch wide Fender strap in brown and yellow. AC-4047 The Ernie Ball Polypro strap is ideal for all guitarists and guitar types. Length adjusts from 38" to 68". 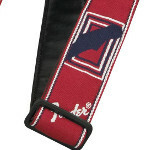 AC-0990682000 The classic looking, highly desirable 2 Inch wide Fender strap in red, white + blue. 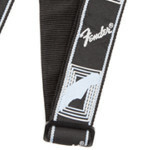 AC-0990686001 A high quality guitar strap from Fender, 2 Inch wide and made of tweed cotton material, in a black and white pattern. 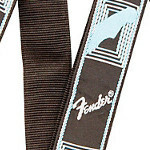 AC-0990686003 A high quality guitar strap from Fender, 2 Inch wide and made of tweed cotton material, in a green and black pattern. 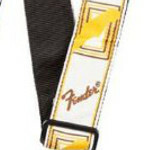 AC-0990683000 The classic looking, highly desirable 2 Inch wide Fender strap in white, brown + yellow. AC-4037 The Ernie Ball Polypro strap is ideal for all guitarists and guitar types. Length adjusts from 38" to 68".